Dropbox announced a new version of its service that allows seamless switching between work and personal accounts, making it easier for people to share images and assets with their social teams. Previously you’d have to switch between personal and business accounts, but Dropbox soon realized that if that takes 15 seconds each time and it has 200 million users, it would waste 1,000 years of its users’ time every day. The new Dropbox for Business will be rolled out early next year, and will enable you to view your personal files in one tab and work files in another tab. A new notification bar lets you view alerts from both, or you can filter to see only one category. 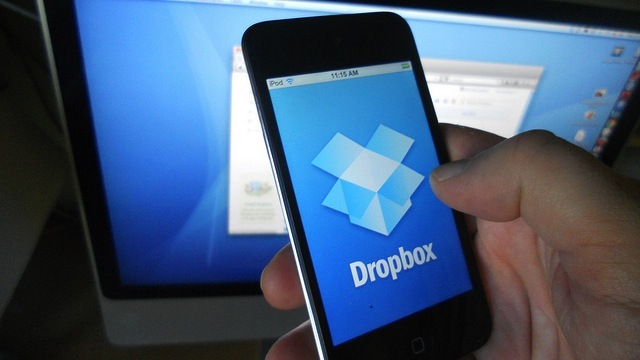 According to the company, 97 percent of Fortune 500 use Dropbox to save files online. With that in mind, this update puts heavy emphasis on controls for CIOs and IT teams. The new Sharing Audit Logs feature shows admins exactly who is sharing what with who and when. For social teams, the ease of managing accounts is key — especially when working with contractors or freelancers. Another new feature, Account Transfer, helps when you need to remove access to certain files from someone that’s leaving the company or switching to another team. 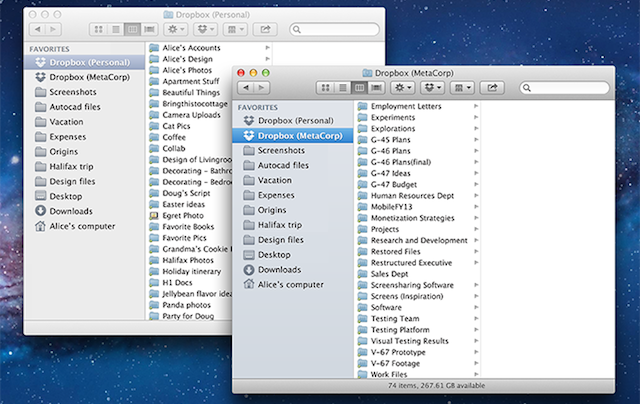 The redesigned Dropbox for Business is available in beta in December. Interested businesses can sign up for early access, or wait for the public rollout next year.